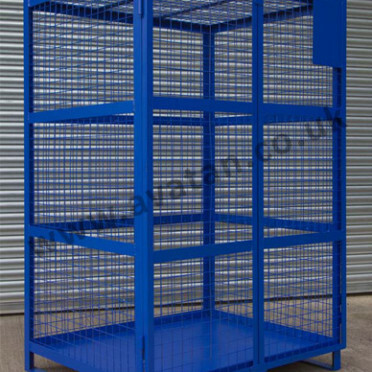 Steel cage pallet with mesh sides and fitted with a half drop gate on one or more sides. 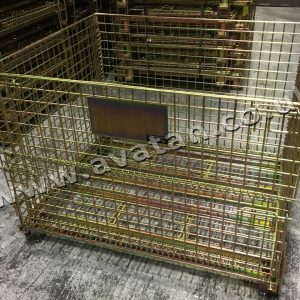 The half gate may be hinged or fully removable. 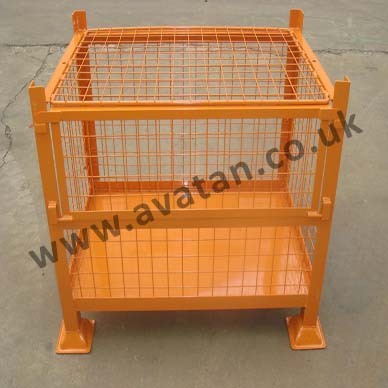 Stillages are manufactured to order to any size and quantity. 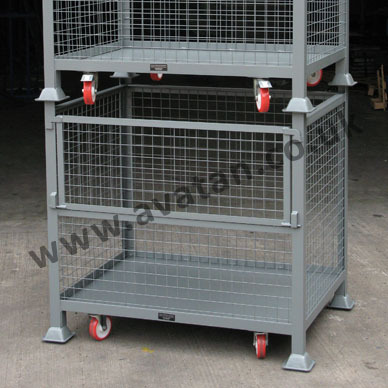 Stackable four or five units high as standard, these metal cage pallets can also be manufactured to suit heavier loads. 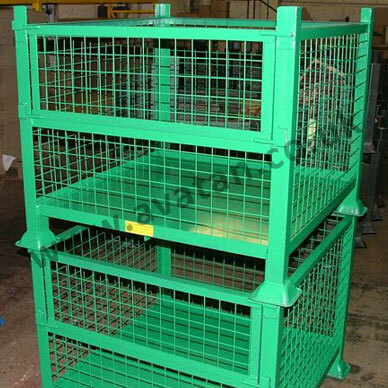 Mounted of conical pallet feet or fitted with nesting plugs, stacking by fork lift truck may be completed safely and with ease. 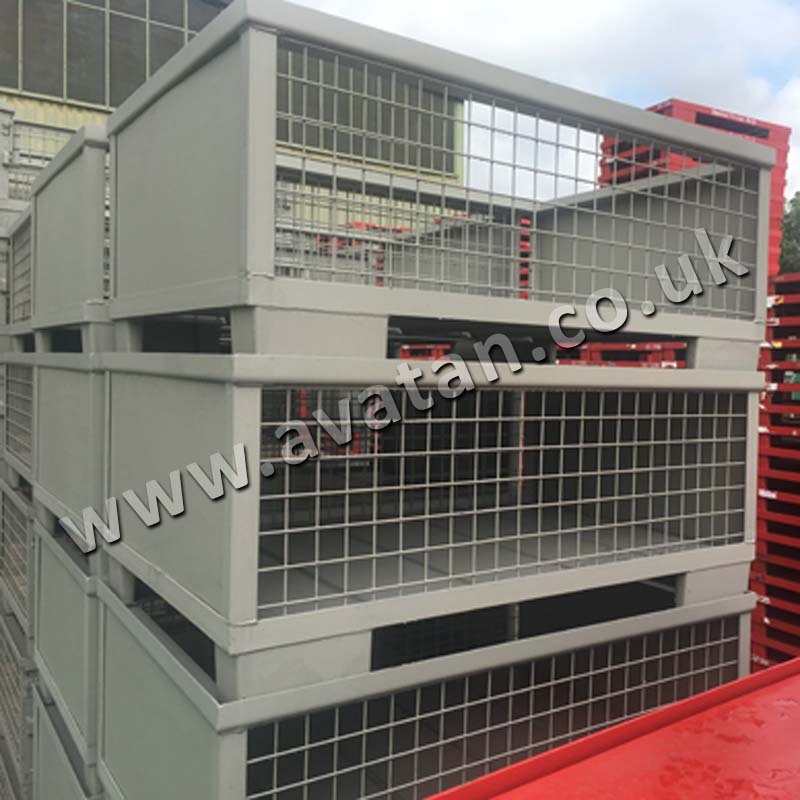 Cage pallets are routinely finished in an air dry paint but for greater durability, they may optionally be hot dip galvanised. 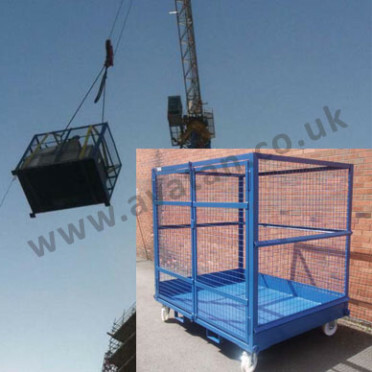 For collapsible half drop cage pallets held in stock, see also our range of CubiCages and Euro style cage pallets. If you have any questions, please ask for further details.